Canon has now confirmed a 4K resolution version of its video DSLR technology, in the shape of the EOS 1D C, and also a 4K version of the C300 large sensor camcorder, the C500. Both units compete with cameras such as the Red and Alexa, but are likely to be of more interest to film-makers or documentary producers than for news. A 4K resolution is useful in some circumstances, for example for recomposing a shot in post production. But the high cost of the cameras is likely to put them out of reach of most news teams – at least until 4K broadcasting becomes mainstream. Smaller XDCAM: Sony’s PMW-100. Picture: Sony. Sony, for its part, is also entering the (lower budget) 4K space, with an addition to its lower-end, large sensor camera range. The NEX FS700 sits above the existing FS100, a modular camera with a Super 35mm (cinema-style) sensor. The FS700 adds some useful additional features beyond those of the FS100, including built-in neutral density filters, and a more robust construction. 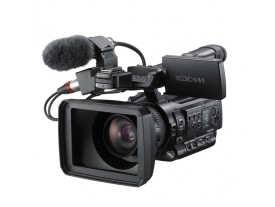 Like the FS-100, the FS700 will use AVCHD file formats, and 4K output will be via a Sony external recorder. Sony has announced a second NXCAM, AVCHD-based unit, the rather intriguing NX30E, with a built-in projector. This could be useful for training, although the practical applications in newsgathering and online reporting maybe more limited. 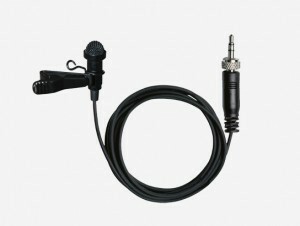 Aside from the projector, though, the NX30E records at 28mbps on AVCHD, but with the option of uncompressed audio (at the usual 48Mhz/16bit format used for video), via a detachable XLR microphone adapter. There is also 96GB of built in memory, which makes the camera highly useable out of the box. The audio features of the NX30E give it an edge on Sony’s current entry-level pro camcorder, the MC50E, as the latter only has a stereo minijack mic input, and does not record uncompressed audio. As yet, Sony has not announced prices for the NX30E. But the most interesting of the cameras, from a video journalism and broadcast perspective, may be Sony’s PMW-100. This is a small, pro-format camcorder (about the size of a Sony V1 or NX5 – so hardly a palmcorder) but which records onto the same SxS cards as the EX1, EX3, and PMW-320/350 broadcast cameras. Unlike those, though, the PMW-100 can record at 50mbps in 1080p, meeting the requirements for HD broadcast for Sky and the BBC out of the box. This puts the camera squarely in competition with Canon’s XF range of 50mbps camcorders. Interestingly, Sony is marketing the PMW-100 (which sells for around £2750 ex VAT) as a companion camera for the vastly more expensive, shoulder-mount PMW-500. The cameras in between are all limited to 35mbps. Of course, recording bitrates are only really an issue, for video journalists supplying HD channels. Other advantages of a higher bitrate (and 422 colour space), such as the video being better able to stand up to grading, keying (greenscreen) or the use of effects may be outweighed by the PMW-100’s single, relatively small sensor (1/2.9 inch). But then Canon’s most direct competitor, the XF105, also has a similar sensor. The PMW-100 has advantages over cameras such as the EX1 (which has a half-inch sensor) because it has timecode in/out and genlock, so it can be used in a multicamera set up. For interviews and other multi-camera assignments, the PMW-100 could make a good partner for the EX3, or the PMW-320 and 350 where budgets, or the need to travel light, make a second large camera impractical. 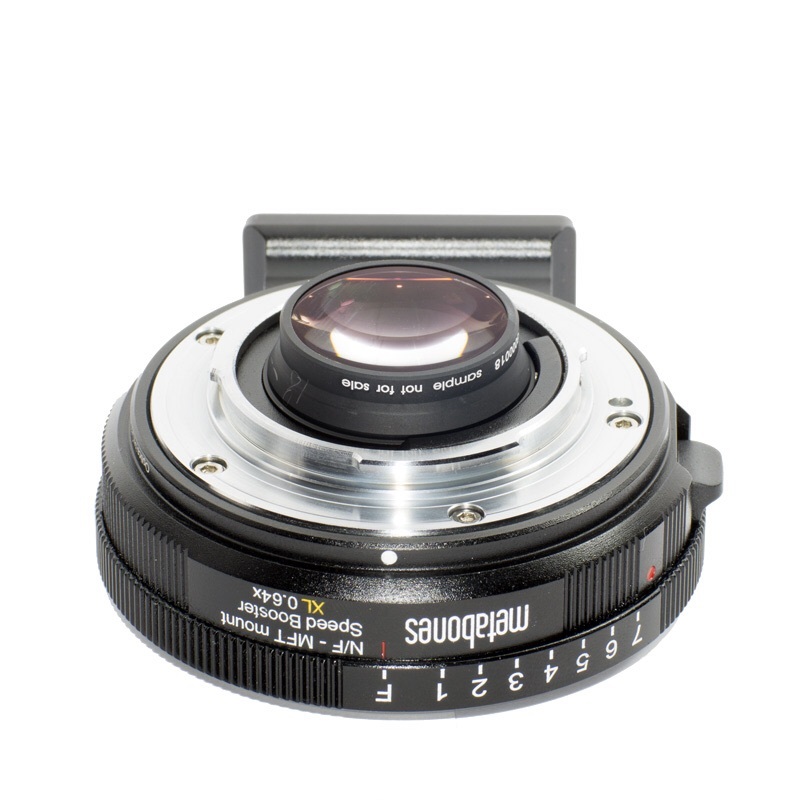 The PMW-100 could also be an ideal ‘producer’s camera’, a role that Canon’s XF305 already fills. It is small enough to be portable, has the features needed for self-op shooting (such as a reversible viewfinder, something the EX3 for example lacks), but still uses the proven XDCAM EX workflow. Hopefully we will be able to test this new camera alongside an EX3, the similarly-priced NXCAM NX5, and a PMW-350 soon. NAB might be dominated by 4K and broadcast gear announcements, but there is now more information available on the new crop of DSLRs that were announced over the last new months. Some 5D Mk III footage is here, from EOSHD and here, from No Film School – but the most eagerly anticipated is perhaps footage from Nikon’s D800. Nikon’s previous efforts at DSLR video have been more workmanlike than stunning, but the 36 megapixel D800, in particular, is creating quite a buzz (not least because of Nikon’s rather strange decision to raise the price of the camera by £200 after it was announced). Recently, Nikon took a number of reviewers and DSLR video journalists to New York recently to try out the camera. Some of the best reports are from Pocket-Lint and DSLR News Shooter’s Dan Chung. Dan’s tests are especially comprehensive and include side-by-side comparisons with the new Canon. New York-based No Film School have also tested out the two cameras side by side (in a four-part review). If you have a Vimeo account, you can download some of Dan’s sample videos — it is well worth doing so, and reading the reviews, as these cameras are nudging £3000 including VAT. Do I need a DSLR rig?